We all know that having more meaningful conversations is what many older people long for, especially if they are living with dementia in a care home. 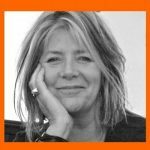 We asked Sarah Reed, a specialist in dementia communication and friend of My Home Life to help us understand how we can better connect with older people with cognitive impairment, or dementia. What might it take to make our conversations good? What’s important for us to remember when chatting to someone living with dementia? Well, let’s start at the beginning and consider how we are sitting with the person… A conversation held while sitting next to a person, rather than opposite them, helps us to look out at the world together, which encourages and increases our connection with them. In a way, it helps us feel more like a team doing something together. So, how can I create a good conversation with resident? When chatting to someone living with dementia, I believe a good conversation starts with focus and observation, ‘listening with our eyes’. How does the person ‘seem’? In observing how a person is in the moment, we can be more empathic. Having a heightened awareness of another person’s state of mind, mood, health and energy levels matters in care, even if ‘seeing’ and ‘noticing’ another person are rarely mentioned in communication training or even CQC reports! We’d all agree that a good conversation starts with good manners, and that means we need to be able to press the ‘Pause button’ on our own egos and listen well. Whilst engaging in these conversations, turn off the TV! Just listening well will encourage the person to share stories from their lives. Even if a person with dementia struggles to remember what they had for breakfast, they are still full of memories from their past. How might we encourage people who live with dementia to tell their stories? What tools could we use to help us? An effective method for drawing out those precious stories, is through reminiscence. Many care teams I’ve worked with in the past have had varying approaches to reminiscence. They’ve used things such as posters, displays, films and props to encourage residents to open up and share their stories. However, starting a conversation with someone living with dementia can be tough. I noticed how people struggled for conversation with my mum who had dementia and lived in care homes for ten years. Nearly everyone, even the family, seemed lost for ways to engage with her sometimes, especially as the dementia progressed. 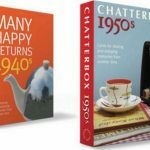 This is where I got my inspiration for creating the ‘Chatterbox cards’. The cards are used to assist conversation, they’re packs of cards with images from days past, coupled with background information and conversational prompts about the image/photo from the decade. 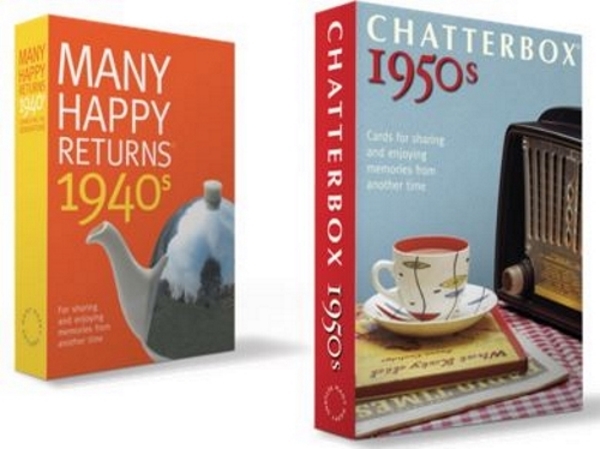 The content and design of the cards was created expressly to encourage happy memories of a past period. The cards are based on research with 200 interviewees who could remember their lived experiences of the 1940s and 1950s, either as children, teenagers or young adults. These earlier years of our lives are known as the ‘Reminiscence Bump’. This ‘bump’ holds some of our richest life experiences and is common to all of us, for example we can all recall the music and events that meant a lot to us during our teens. What can I do today to make a difference to the quality of life of all my residents? We all know that the demands of a caring role can leave little time to chat together. Yet we know that care home residents are often aching for conversation. Well, perhaps you can give them what they want today by dedicating some uninterrupted time to them. Whether they’re living with dementia or not, the result of giving this time means we can all care for them better because we know more about them. Dementia is progressive, so knowing the person well can help us provide the best care for them as their condition deteriorates. I’ve found in my experience that a Conversation Group is a lovely way for people to spend time and a great way to get to know more about their lives. For ten years, I’ve been hosting regular Conversation Groups in care homes, bringing people together, to chat, enjoy themselves and share stories. The regular calendar fixture provides a time and space in which we can engage well and hear, explore, share and compare other people’s past experiences, woven into their views of life, the universe and everything in the present. Members of the conversation group are actively engaged, happy and animated, we’ve got to know one another quite well! Why not try out some of my ideas today and enhance the ways your care teams connect with older people living with dementia in your care home. Our thanks go to Sarah Reed, specialist in dementia communication, for sharing her knowledge and experiences with us. The My Home Life social movement is growing all the time, why not join us so we can achieve more together.